Sugar Free Butter Cookies are one of my favorite cookies to bake. I think that it is because the butter taste is the focus of these cookies that makes them taste so good. There is something about butter cookies that takes me back to my childhood. I think that it is because prepackaged butter cookies were a big deal back then. There was a certain popular brand of butter cookies that did an amazing job advertising to mom’s and kids. Those advertisements made it seem fun and the thing to do to eat their ‘fun to eat’ cookies. I know, this is dating me. However, there really are a lot of things that you can do with butter cookies before eating them. Butter cookies are a good cookie to cut into shapes. There are a lot of options for cookie cutter out there. You can see a lot of great cookie cutters at good prices online here. These cookies get me thinking about holiday cookie baking. 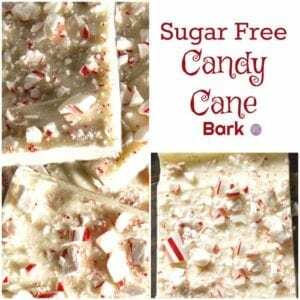 I shared a sugar free shortbread cookie over the holidays. What I liked about these cookies was drizzling sugar free chocolate over them. Butter cookies are also a good cookie to drizzle chocolate over. You can find sugar free chocolate chips (for melting) online. 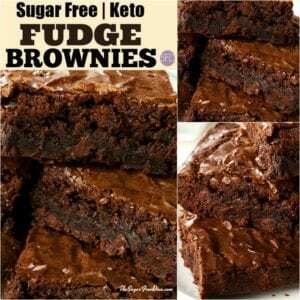 We will be using a sugar alternative for this recipe. The alternative that you choose to use is up to you. However, I would recommend a granular sugar alternative such as Splenda. 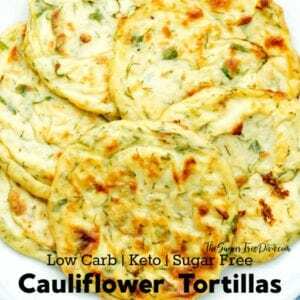 Also, you can make this lower carb my using Carbalose (a low carb flour) instead of regular flour. By the way, I do have other great cookie recipes as well. Check out my sugar free lemon cookies (yum). I also have a recipe for Sugar Free Espresso Chocolate Chip cookies as well as a recipe for The Best Sugar Free Chocolate Chip Cookies. Here is what you will need to make these cookies. Butter- 2 sticks (1 cup) softened to room temperature. Subbing in an alternative will take away from the ‘butter taste’ that is a part of this cookies. Flour (AP)- 2 cups (see post for low carb alternative). Sugar Alternative- Amount equivalent to 1 cup of sugar. Preheat your oven to 375. I like to line cookie sheets with parchment paper for an easy clean-up. If you have not done so as of yet, allow your butter to soften. In a bowl, combine together your flour, baking powder, and salt. Set this aside. Now, in a mixing bowl, creme together the sugar alternative and the softened butter. Next, add the dry ingredients from the first bowl to the second bowl, slowly and a bit at a time, stirring between additions. If you will be using a cookie cutter on this dough, you can roll it out on a cookie sheet or similar item, cover with plastic, and let it harden a bit in the fridge to make it easier to manipulate with cookie cutters. Doing this with half of the dough while you work with the first half can also be helpful. Bake for 8-10 minutes or until the edges appear to turn a bit brown. 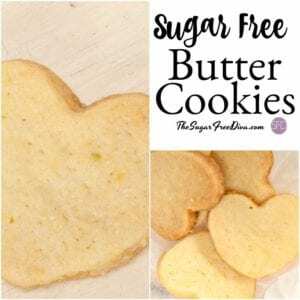 A basic butter cookie recipe that can be made sugar free. Butter- 2 sticks 1 cup softened to room temperature. Subbing in an alternative will take away from the 'butter taste' that is a part of this cookies. Flour AP- 2 cups (see post for low carb alternative).